Elena Delle Donne played in her second game back after a recurrence of Lyme Disease caused her to miss 17 of the Chicago Sky’s previous 18 games. Delle Donne scored 21 points off the bench to lead the Sky to a 76-65 win over the Washington Mystics. “It was great to be out there and be healthy,” Delle Donne said. The only flaw in this game for the reigning Rookie of the Year was that she missed a free throw. Her consecutive free throw streak ended at 50, tied for third longest in the WNBA. Delle Donne was 7 of 12 from the field, 3 of 4 from three-point range, in 16 minutes of action. Sylvia Fowles added 14 points and 11 rebounds. “Every time I get out there I try to play quality efficient basketball. 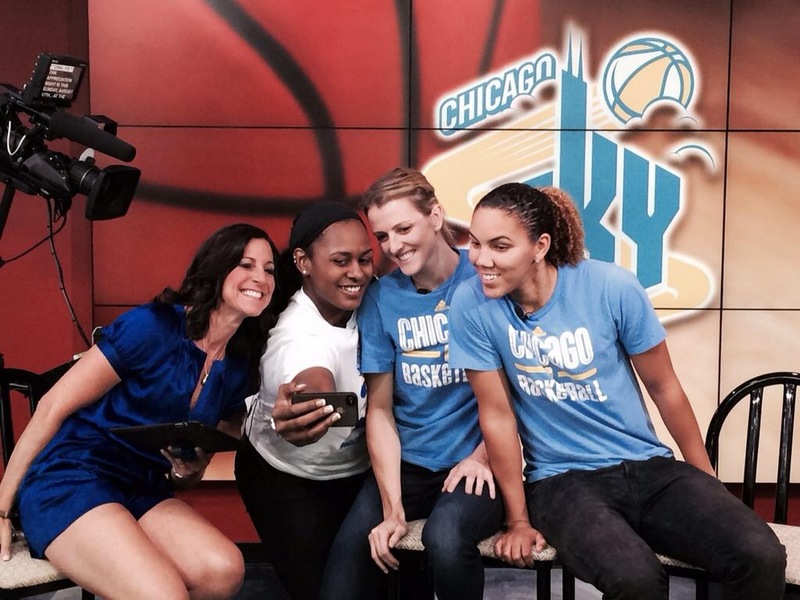 We are clicking on all cylinders, people are getting other people open,” Delle Donne stated. The playoff push for the Sky begins now; the victory tightened up the Eastern Conference even further as only one game separates the second-place Mystics and fifth-place Sky in the standings. The Sky led by as many as 16 points and never trailed. “Each game is very important, it is now or never, all we have to do is make the post season, once you are in, it is a new season,” Epiphanny Prince said. Chicago converted 19 turnovers into 15 points and also had 10 steals. The youngest player in the WNBA Emma Meesseman scored 17 points while Ivory Latta had 12 as Washington dropped its second straight. “We did not have many players play well, had a bad start, got it back early third quarter then reverted back,” said Mystics coach Mike Thibault. In the third quarter, Washington outscored the Sky 19-10 over the first 7:55 and cut the deficit to three at 53-50 on Meesseman’s short turnaround jumper with 2:05 left. That was the closest they would get as they did not even tie the Sky in the game. Both teams step back on the hardwood Tuesday as Washington hosts New York while Chicago travels to Connecticut.